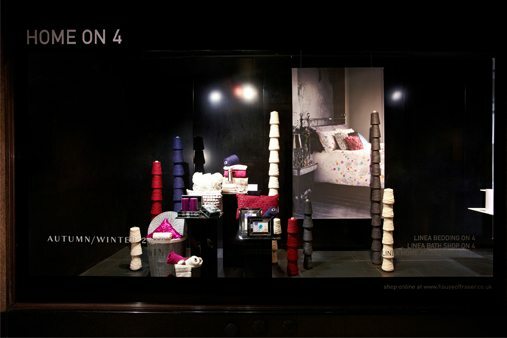 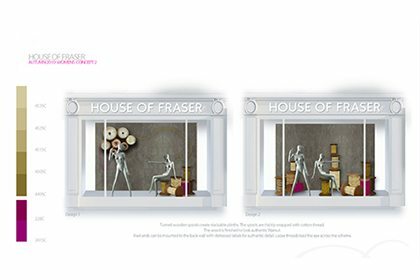 Prop Studios collaborated with House of Fraser to create their UK A/W windows scheme. 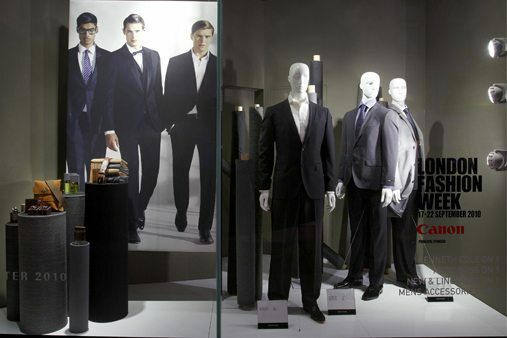 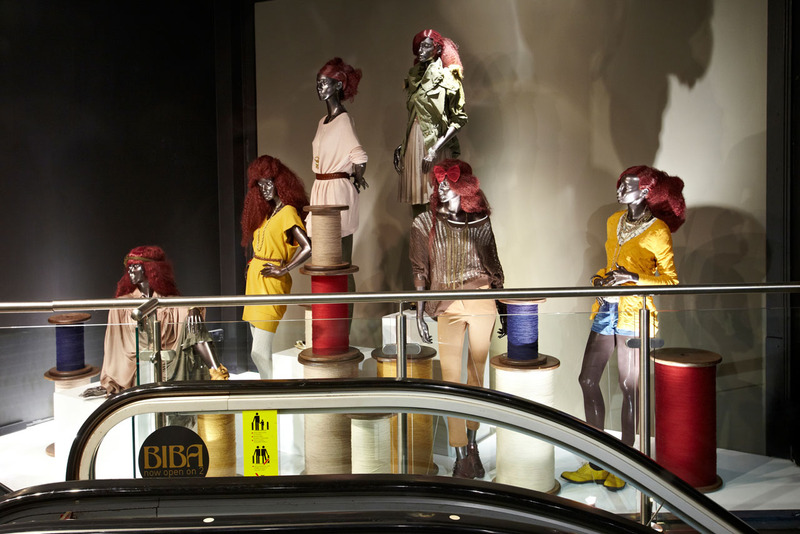 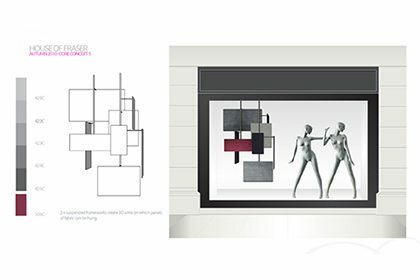 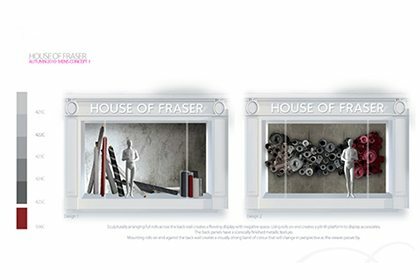 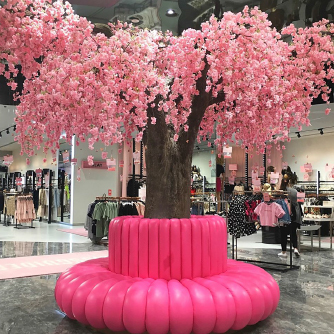 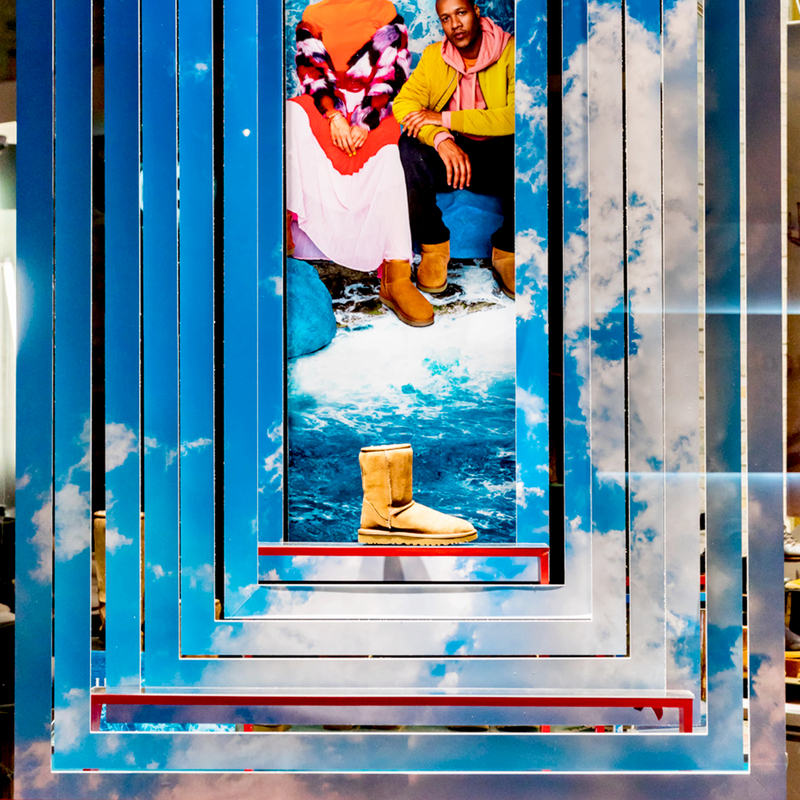 The displays were to be installed across all of House of Fraser’s UK stores, over 300 windows in total. 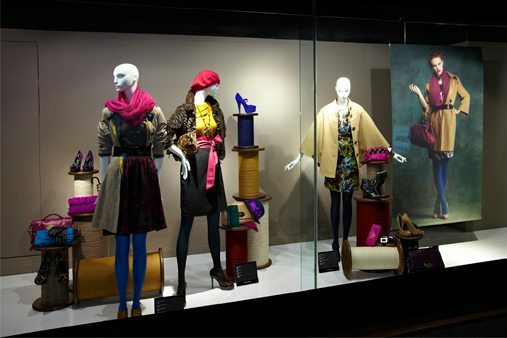 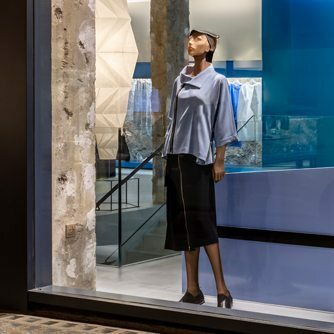 The window scheme reflects the diverse colours and textures of the latest womenswear A/W collection. 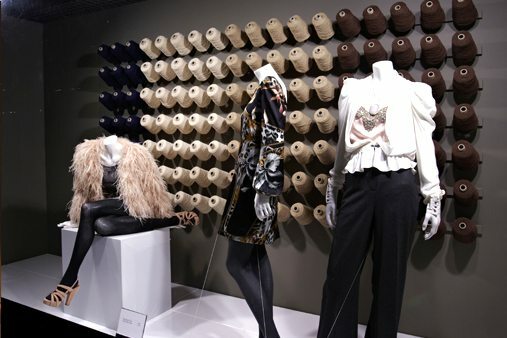 Prop Studios created a scheme consisting of cotton reels, rolls of fabric and spools of wool that were all designed as authentic materials used by haberdashers. 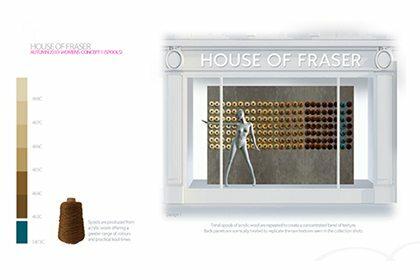 To create a lasting impact upon customers these haberdashery items were scaled up to be oversized and so that they clearly communicated the colour palette of House of Fraser’s latest range. 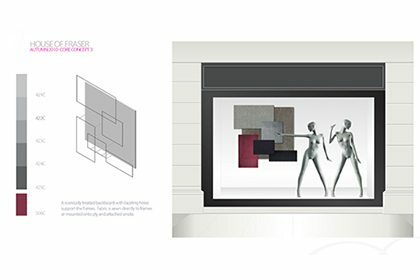 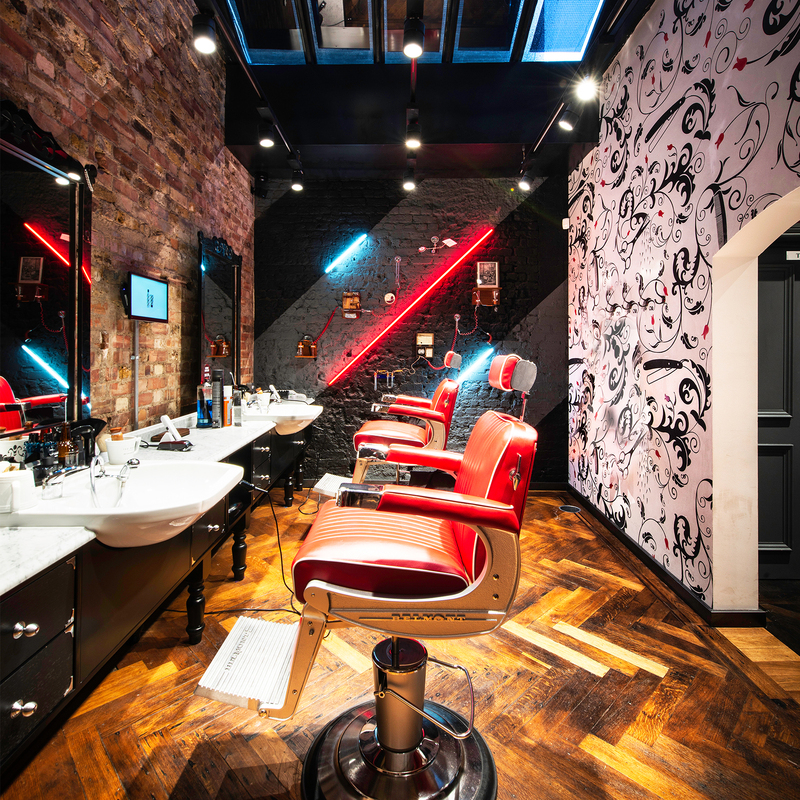 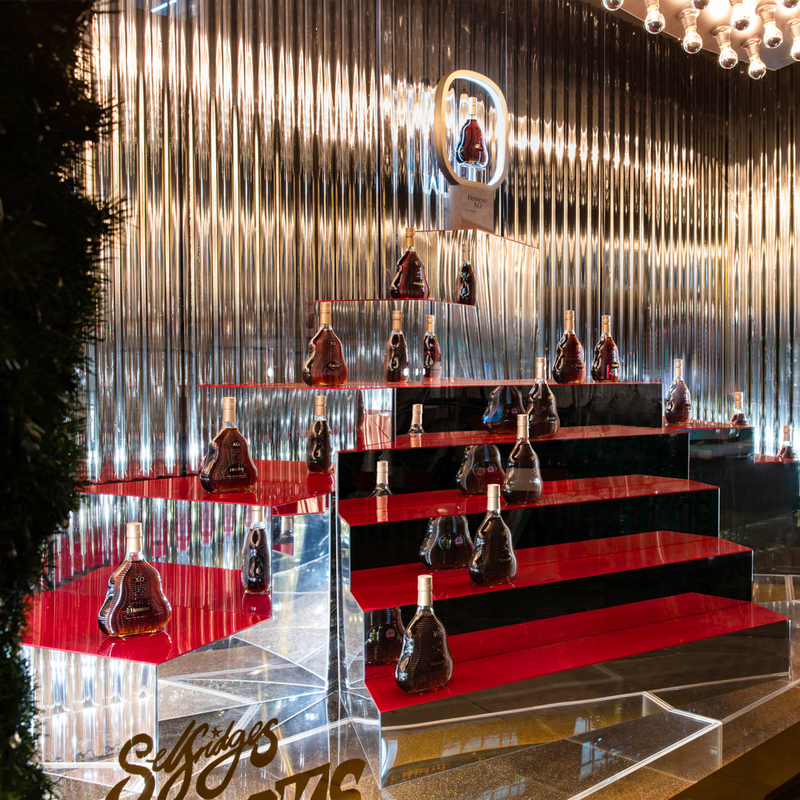 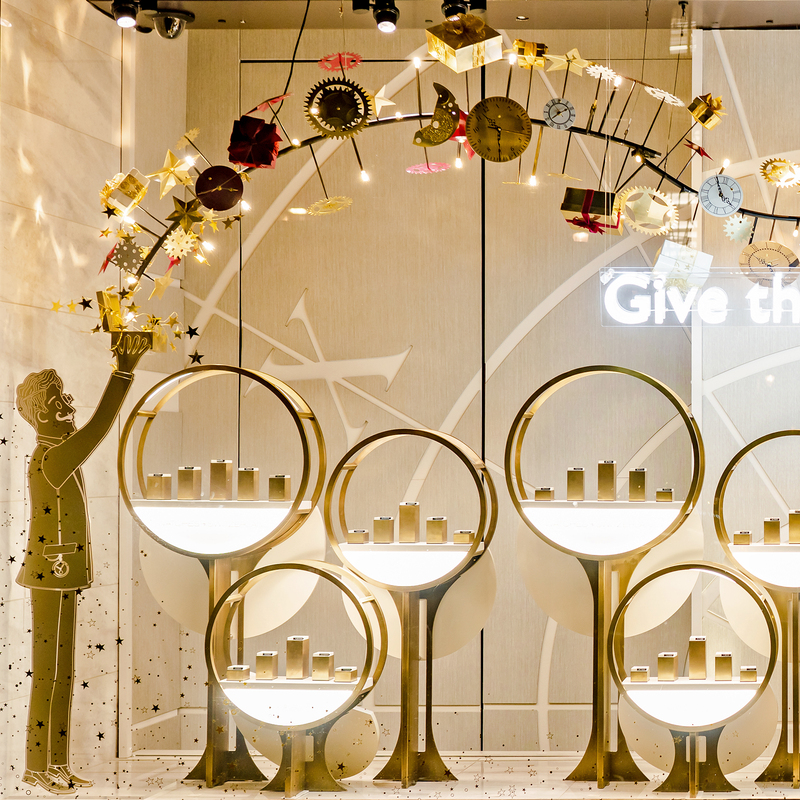 This project was nominated for’Best Multiple Window’ at the VM & Display Awards.